66 ex-agitators bag scholarships in Barcelona sports institute – Royal Times of Nigeria. Sixty-six ex-agitators and selected youths in the Niger Delta area have been offered scholarships to study Sports Management Fundamental at the Johan Cruyff Institute of Barcelona, the Presidential Amnesty Programme (PAP) said on Wednesday. The Coordinator of the programme, retired Brig.-Gen. Paul Boroh, disclosed this to the News Agency of Nigeria (NAN) in Abuja. 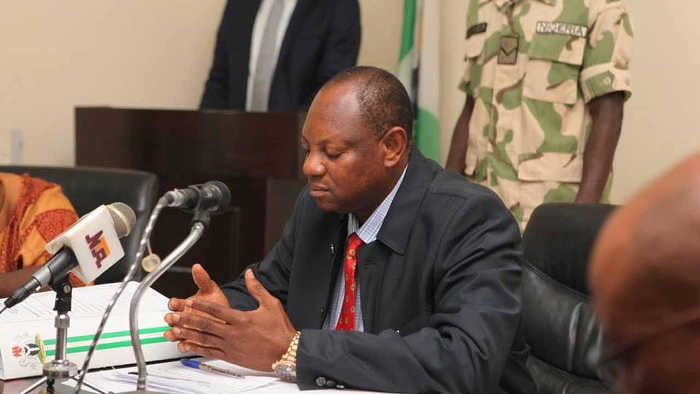 Boroh, also the Special Adviser to the President on Niger Delta Affairs, said that the course contents of Sports Management Fundamental were put together by the university of Amsterdam. He said that the programme was meant to blend academic with sports education. The coordinator said beneficiaries would combine their studies with training sessions while in camp and also have three hours lectures every day. Boroh said at the end of four months, successful course participants would be awarded Foundation of Sports Management certificates. He said this could lead them to proceed for their post graduate diploma in sports management, marketing and promotion. “Why we are introducing the course to the beneficiaries of the PAP and young people in the region is to give them the opportunity to blend academic and sports because when you are exceptionally talented, most times there is the tendency to disconnect from school. “This course is providing opportunity for those players who wish to pursue formal education while being actively involved with soccer, to combine academic and their football career. ‘‘It is a programme for all those who want to have a career in sports,” Boroh said. He said the course provided opportunity for persons in camps to pursue their educational careers. Boroh, however, added that graduands from the programme would find jobs easily because football attracts attention. The coordinator described sports as one of the most important facets of Niger Delta culture and community, arguing that few activities could rally the emotions and fire up the regional spirit like sports. “This is why we want to give our beneficiaries the opportunity to experience sports and live better through sports, whether as a professional sportsperson, amateur player, spectator or volunteer, ” he said. He commended the facilitators of the programme in Africa, Alhaji Faruk Yabo, who also is the Chief Executive Officer (CEO) of To Be Connected Nigeria, an NGO, and the CEO of Sia-One Sports Academy and former Super Eagles’ National Coach, Samson Siasia.